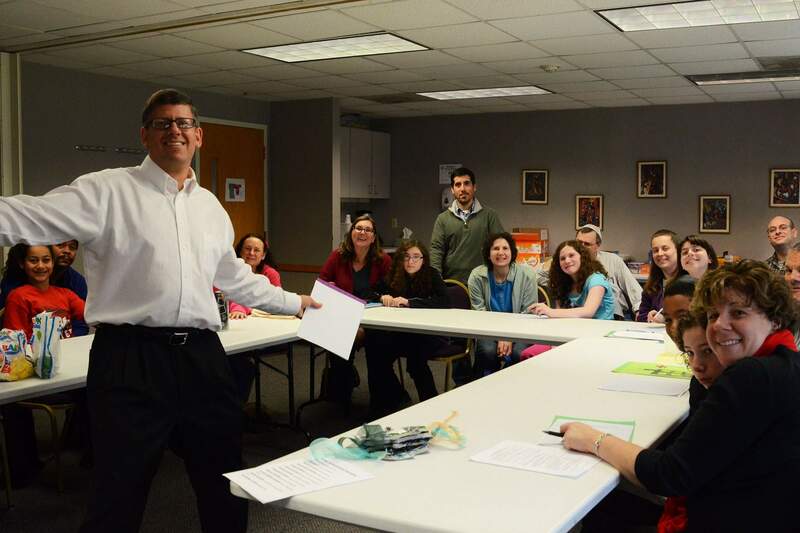 There are many committees that make Ohav Shalom the welcoming and nurturing place that it is. These committee members are dedicated to serving our membership and the community at-large. Committee members need not be on the Board of Trustees to serve on most of these committees. If something interests you, please contact our Synagogue Administrator, Nancy Pandolfo, who will assist you in getting involved. B'Yachad/Board of Education: Kathryn Sheingold, Lev Ginsburg, Rachel Pearlman, Ohav Representatives — Works with joint B'Yachad board to develop policies and oversee the administration of this merged Talmud Torah among Ohav Shalom, Temple Israel and B'nai Shalom. Cemetery Committee: Jeff Cohen, Chair — Oversees the congregation's cemeteries, following the specific cemetery bylaws and rules approved by the Board of Trustees. Communications Committee: Debbie Rausch, Terry Tyson, Co-Chairs — Provides assistance or handles all marketing and public relations including, but not limited to, the synagogue quarterly newsletter (the DA”SH), website, social media, advertising, invitations, booklets, and other publications and graphics. Endowment Committee: Ira Lobel, Mort Borzykowski , Co-Chairs — Promotes, reviews and monitors all endowment funds and all other trust funds of the Congregation in conformity with the requirements of the Religious Corporations Law and all other laws of the State of New York., and promotes legacy planned giving among congregants. Finance Committee: Gregg Fox, Chair — Reviews all dues and assessments, reviews and monitors the fiscal operations of the Congregation, and makes recommendations to the Board of Trustees concerning Congregational finances. Names of committee members are not for public knowledge and their work on behalf of individual congregants is confidential. Fund Raising Committee: Libby Post, Chair — Makes recommendations to the Board of Trustees concerning fund raising activities of the Congregation and plans major fund raising activities for the Congregation. House and Grounds Committee: Sharon Lozman, Chair — Responsible for the use, maintenance and upkeep of all property within the building and on the grounds of the synagogue. Human Resources Committee: Andy Salem, Chair — Oversees the personnel related policies and concerns of the synagogue. Inclusion: Barbara Brodsky, Melanie Hecker, Co-Chairs — Promotes education, activities and physical improvements that enhance accessibility to all aspects of Ohav community life for people with disabilities. Life and Legacy: Ed Jacobs, Team Leader — Promotes legacy giving in support of Ohav and other Jewish community organizations, ensuring Jewish tomorrows. Coordinated by Federation, and underwritten by the Harold Grinspoon Foundation. Lifelong Learning/Program Committee: Shari Piper, Judy Avner, Co-Chairs — Organizes and coordinates educational and special programs including guest teachers as well as ongoing class offerings which foster continued Judaic learning and study in the congregation and activities that promote community. Kiddusha Mamas and Papas: Laurie Abelson, Chair — Bakes delicious goodies served at weekly kiddush. Membership Committee: Ed Jacobs, Janis Cohen, Co-Chairs — Works on outreach through publicity, events and personal contact to eligible persons to interest them in membership. This committee is responsible for the development of programs and strategies that help retain members, as well as for familiarizing new members with the programming offered by the Congregation, and encouraging new members to become active in congregational life. Religious Life Committee: David Levine, Chair — Helps to implement programs that support the religious activities and observances of the Congregation. In addition, the committee, in consultation with the synagogue clergy, studies and considers policies affecting the religious life of the community, and addresses issues that arise in the sphere of religious life. Safety and Security: Ed Jacobs, Chair — Assesses the security needs of the synagogue, making recommendations to the Board of Trustees to improve safety and security and overseeing implementation of safety improvements including education of the staff and Congregation and recommends to the Board of Trustees, appropriate changes, as needed. Scholarship Committee: Sheila Lobel, Chair — Administers the congregation's scholarship programs. Social Action Committee: Antoinette Deitcher, Coordinator — Ohav's umbrella organization for tikkun olam, repairing the world. Social Action's activities include volunteering at the Regional Food Bank, collecting supplies for local agencies; the Shomrei Adamah Environmental Awareness committee; the Yad Yonatan chesed committee and special events such as the Seder for Adults with Developmental Disabilities. Most recent efforts have included working with refugee families in our community. Youth: Marci Galinkin, Chair representing Ohav Shalom — Oversees synagogue and communal activities of our young people from pre-teen through the teen and college years, including Kadima, USY and College Outreach, with the goal of continuing Jewish education and connection, and participation in social activities in a Jewish framework. This is a merged commission of Ohav Shalom and Temple Israel.